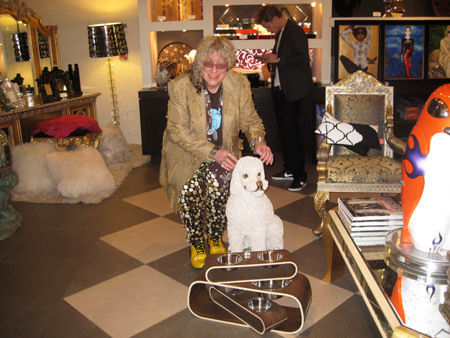 Allee Willis’ Kitsch O’ The Day – The Only Thing Better Than a Keane Painting Is to Be With KEANE! 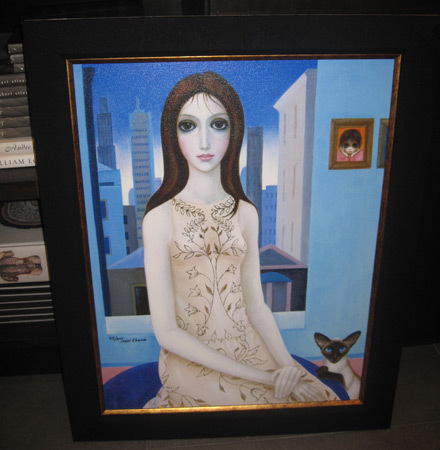 Margaret Keane is the High Priestess of Pop Art, painting those huge waif eyed paintings that stared out at everyone throughout the 60′s and 70′s and are still copied and emulated to this day. Last Thursday night I got to see not only so many of the original historic paintings but new works by Keane as well who hasn’t lost a gnat’s hair of technique. 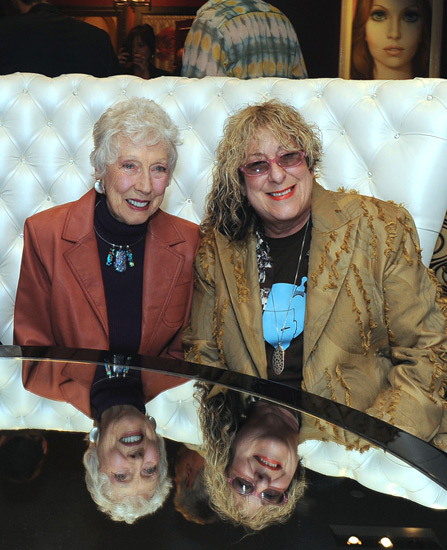 There’s a movie in the works about Margaret Keane with Kate Hudson signed on to play Margaret. Her story is fantastic. 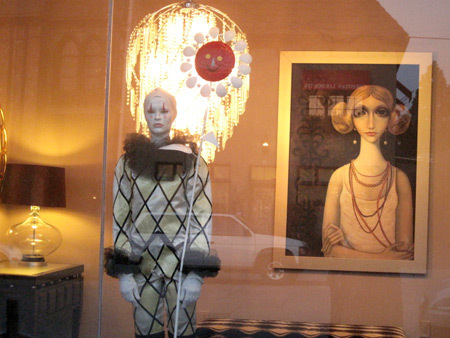 Her husband, Walter, was a crafty businessmen and convinced his wife to basically paint and shut up. 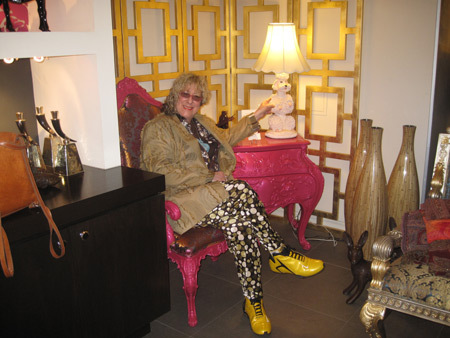 It was his name that was on all of her paintings and it was he who made multiple appearances on Johnny Carson, did all the interviews and got all the glory. 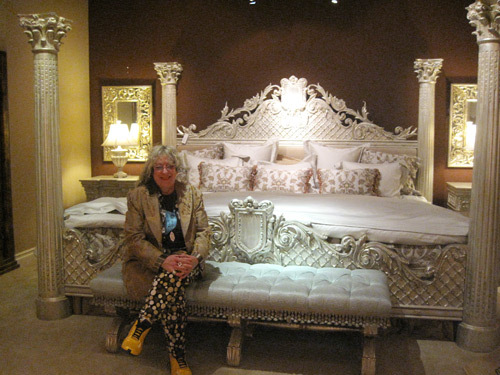 Margaret is still very soft-spoken but came to her senses in an infamous 1965 court case during their divorce when she rightfully and finally claimed that the paintings that made Keane a household word were actually hers. When her husband called her a liar the judge set two easels up and asked them both to paint. Margaret got up and knocked out one of her famous big sad eyed paintings while Walter complained of a sore shoulder and sat there like a lump. Feminism was at its height and Margaret instantly became an Olympian sized champ. I only own some Keane prints from back in the day. 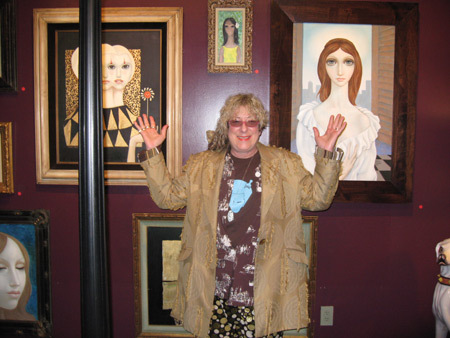 I would have loved to have bought one of her paintings last Thursday but as opposed to the few dollars they cost in the 60′s they now average between $75,000 and $225,000. 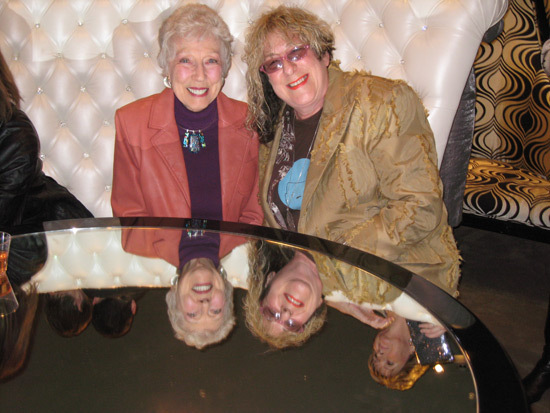 Thank you, Margaret and Phyllis, for the never-ending inspiration, talent and fun! 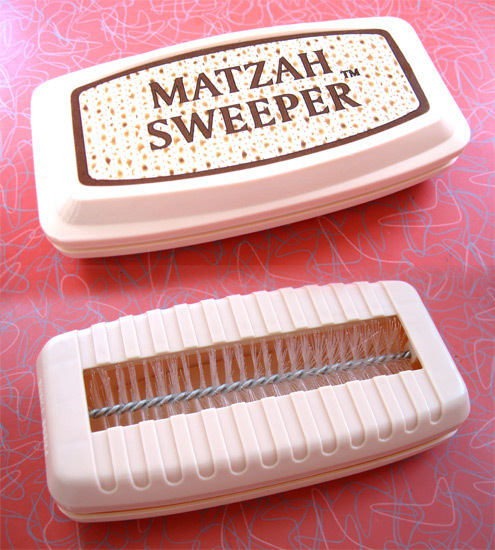 Manischewitz is the premier manufacturer of kosher foods. I can’t tell you how many boxes of their matzo or those squared off bottles of wine sat upon seder tables of my youth but one Manischewitz product I never saw before is this special edition single released in 1958. 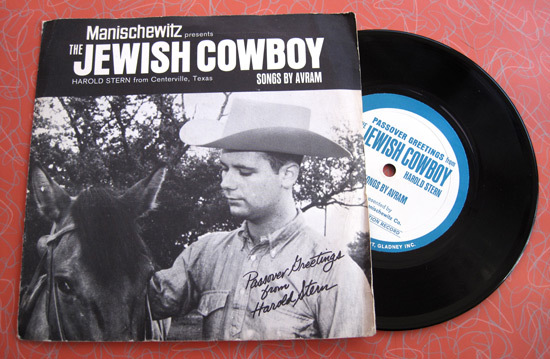 I never even knew there were Jewish cowboys let alone that Harold Stern was one of them. I first got into throwing parties, my favorite thing to do among everything I do, by inviting friends over on Sunday afternoons to watch Bad movies. 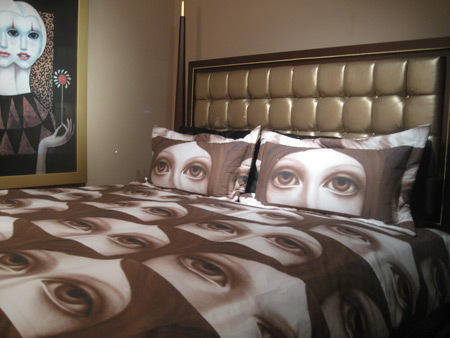 I was long aware that environment totally influences anything that happens inside of it and the bad films allowed me to ratchet up my collection of Kitsch to enhance viewer experience. 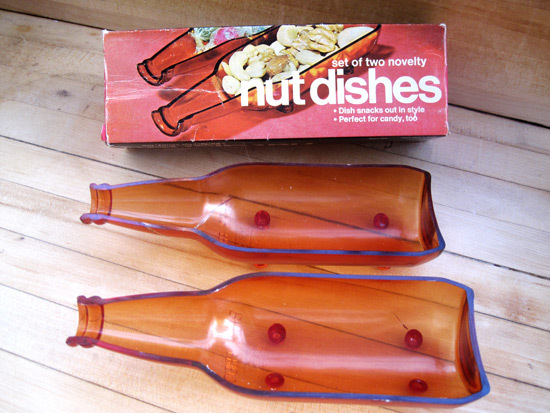 Grabbing candy out of a plain white bowl was just that, grabbing candy out of a plain white bowl, but sticking your hand into something like these incredibly cheap sawed-in-half plastic beer bottles acted like Mind Control pulling my guests further into the inane madness of classics like “Monster from the Surf”, “The Lonely Lady”, “Attack of the Mushroom People”, “Black Shampoo”, “Plan Nine from Outer Space”, “Puma Man” and other Academy-Award-worthy nominees for Worst Film Ever in my never-ending collection of cinematic clunkers. 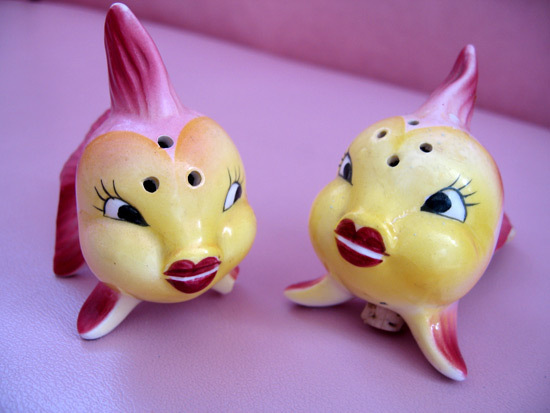 Although one of these little fish was a victim of the 1994 LA earthquake and lost the tip of her fin this happy couple are still among my favorite salt-and-pepper shakers in my collection of 1000 or so vintage ones. 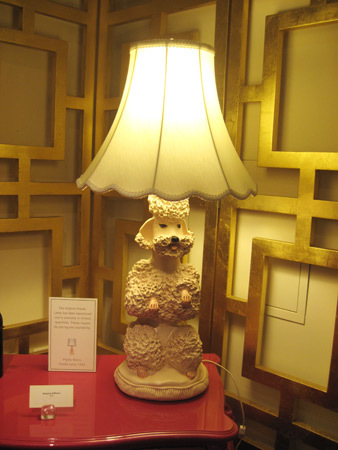 Though any ceramic animal, fish, vegetable or otherwise that has eyelashes immediately leaps it to a higher ranking in the army of Kitsch over here. 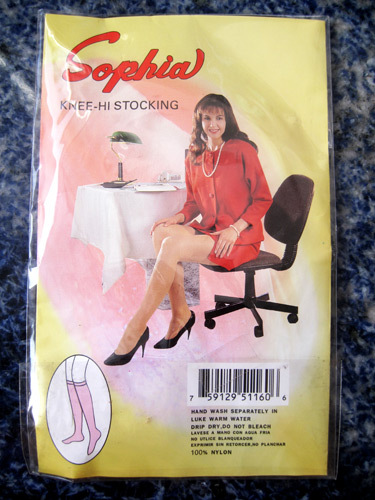 As if knee high stockings weren’t Kitsch enough I love that Sophia’s desk is a dining table. 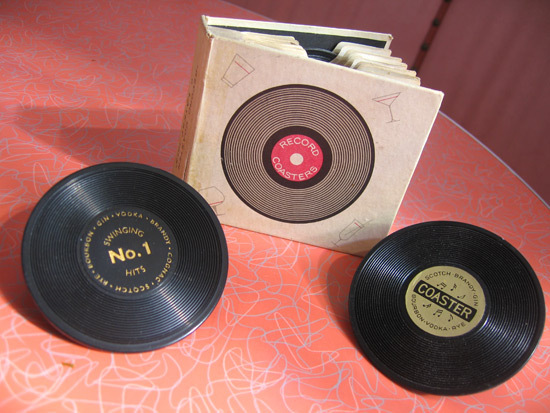 Unless you were Frank Sinatra Bing Crosby was about as big as you could get in the 1950′s. Big enough to rule the Hit Parade AND in 1953 get his own brand of ice cream. 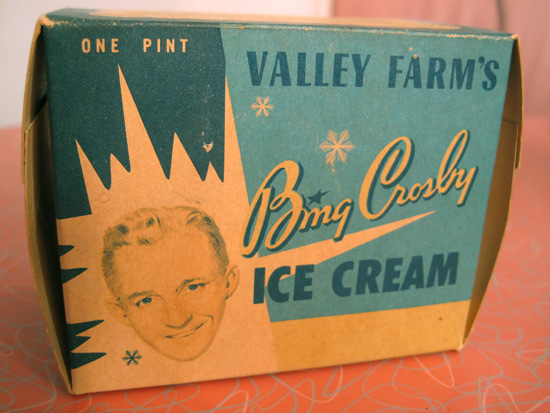 He even owned the brand, Bing Crosby Ice Cream Sales, Inc., Hollywood, California, which he licensed to Valley Farm’s (excellent use of a misplaced apostrophe) who promised that the contents was of “Cream of the Stars” quality. 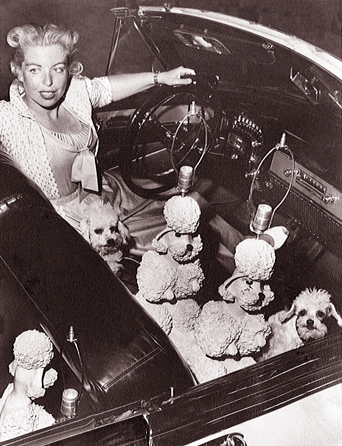 In the 1950′s, people were very creative about how they packed their liquor to self medicate at ballgames, in cars or just to show off at parties. 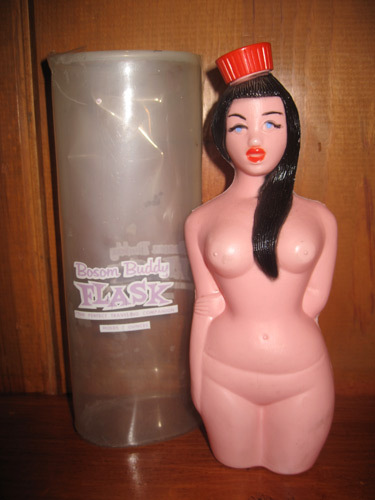 This flask, sold in magazine catalogs and naughty peep shops, was one of the most popular ones around for very obvious reasons. Nothing like using a clown to sell inebriates to get a kid revved up for adulthood. 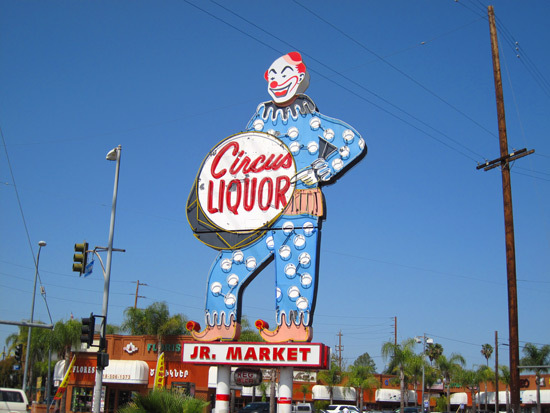 This 26 foot high sign has been a landmark in North Hollywood, CA., featured in enough movies to get a horse drunk. I’m happy whenever I drive by it but still think mixing an icon of childhood with liquor probably happened because the store owner was drunk when he thought of it.